Good morning, Sunday Saloners. Did you change your clocks and spring forward one hour. Last night I stayed up late with Father and we watched Saturday Night Live. I don't watch it very often, the last season lost me with the terrible writing and skits. I have to say the new season is a vast improvement. But nothing tops the SNL of old, the Not Ready For Prime Time Players with Dan Ackyrod, John Belushi, Gilda Radner, Chevy Chase, Jane Curtin, Loraine Newman and Garrett Morris. They had some excellent writers back then. 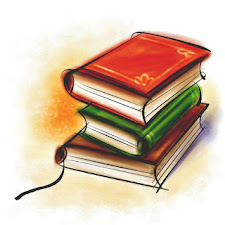 Speaking of writer's, Beth F gave me an excellent idea with her post about Pushing An Author. There are authors I read that don't get much play in the blogosphere. I'm not sure why that is, so decided will introduce an author whose books I enjoy. I may or may not make this a weekly thing - the idea just came to me, so will think about it. Pushing an author blends well with Weekly Geeks this week. The theme is A Quote A Day. Terri says: You may want to come up with a theme, such as favorite passages from books, author quotes, political quotes, quotes about books or reading, humorous quotes, whatever. My theme this week will be quotes from books by the Thoene's. I thoroughly enjoy reading books by the husband and wife writing team Bodie and Brock Thoene. They have written over 45 novel of historical fiction including the A.D. Chronicles, Zion Covenant, Zion Chronicles, Zion Legacy and several other series and single titles. The Zion Covenant series begins with Vienna Prelude and takes you back to 1936 and the beginning of Hilter's take over. "IN 1936 NAZI DARKNESS DESCENDS UPON EUROPE. Every person is only one step away from being swept into the nightmarish tide of evil. Blond Elisa Lindheim, a violinist with the Vienna Philharmonic Orchestra, adopts an Aryan stage name for protection. But her closest friend, Leah, a talented Jewish cellist, is in a perilous position. There are those who choose to fight Hitler's madness. Elisa's father, Theo. A courageous American reporter, John Murphy. Winston Churchill, the British statesman. A farm family in the Tyrolean Alps. The Jewish Underground. But will all their efforts be enough to stop the coming Holocaust? And now Elisa must decide. If she becomes part of the Underground, she will risk everything...and put everyone she loves in danger." The Zion Covenant series covers from 1936 to the 1940's, Zion Chronicles covers the events of Israel's fight for statehood from 1947 to 1948. The Zion Legacy covers 1948 with the withdrawal of the British from Jerusalum and ends with being transported back to the 1st century to the beginning of Jesus. The A.D. Chronicles tells the story of Jesus and his followers, personalizing the tales of the bible. The Thoene's have done such meticulous research for all their books to insure the accuracy of the history told in their stories that these series are "recognized by the American Library Association, as well as Zionist libraries around the world, and are used to teach history in college classrooms." I don't normally read historical fiction because to be honest, I find it boring. These books were far from boring - evidenced by the fact I read all 4 series, cover to cover. I'm up to the 8th book in the A.D. Chronicles "Eighth Shepherd" which covers the lives of Zacchaeus, (the tax collector) Shimona, (a former leper now shunned by her community), and a former prince, Salmon, who is now a slave and his daughter is dying. All three seek Yeshua and his healing. "Ninth Witness" was released in September 2008 and Tenth Stone will be released May 2009. 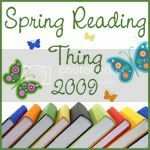 I plan on reading Eighth Shepherd for Callapidder's Days Spring Reading Challenge which starts on March 20th, the first day of Spring. I've started working on my list of books and already know the very first book I will be reading is War and Peace. Father bought it for me for Christmas and I promised would read it this year. My list probably won't be as long this year, because I have several very long books waiting in the stacks. 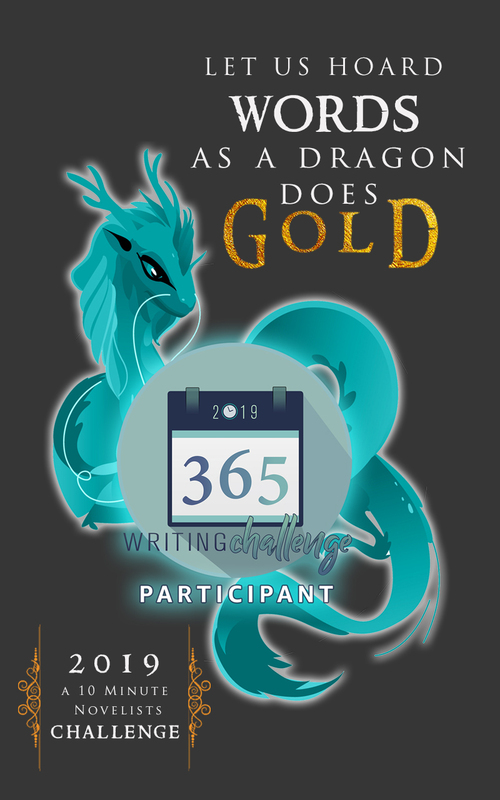 I also plan on revisiting some of my science fiction / fantasy books and want to join in on Stainless Steel Droppings Once Upon A Time Challenge which runs every year from March 21st through June 21st and focuses on Fantasy, mythology, fairy tales and folklore. I plan on reading the books anyway, so why not join in the challenge. Of course, that means my wish list will be growing even more longer. Which brings me to one of my challenges - the Pub Challenge, which is reading newly published books in 2009. I discovered yesterday through Running with Quills that a problem now exists with new books being released to the stores because of a major distributor shutting its doors. I wrote about it here (just a couple posts down) and it looks like it will be affecting many, many authors. So sharpen up you online shopping skills and be sure to buy all your favorite authors new releases online. Now on to Weekly Geeks quote of the day which is from Vienna Prelude, Book 1 of The Zion Covenant series. Streams of iridescent twilight streaked the sky above Gothic towers. Soft pink and blue melted into a deep, star-flecked purple in the east. The spires of Prague's Hradcany Castle blended into the darkness, and lights in the castle windows shone like evening stars not yet risen to their places in the heavens. The tall bell tower of Hradcany and the greenish cupola of some lesser-know spire held the broad canopy of evening suspended just above the hundred towers of the city. Elisa Linda and Leah Goldblatt slowly crossed the ancient Old Town Square as others hurried home from work. Set in the cobbles, flat stone crosses marked the places were the noblemen of King Wenceslas had died as martyrs for the sake of a cause almost forgotten. Elisa's father had told her all about it. When she had come to Prague with him as a child, she had stepped around the crosses as though the blood of the martyrs were still wet and fresh on the ground. She was nearly twenty three now, and still she watched the cobblestones carefully. In the half light, she felt the presence of a million vanished souls, four hundred years of history crowded into this one moment." Thanks, I thing (grin) for mentioning the Once Upon a Time Challenge. I was going to stop joining challenges, but that one looks like fun! I'm so glad I could inspire you to create a new feature! I hope you go for it. Thanks for introducing me to a new author (or author pair). Good luck with your challenges!